Home » News » Annual City of Huntington State Audit Offered "No Findings"
Annual City of Huntington State Audit Offered "No Findings"
Each year municipalities undergo an audit by the State of West Virginia, and, generally, they will offer "findings" (i.e. improvement suggestions) to the city and finance director. 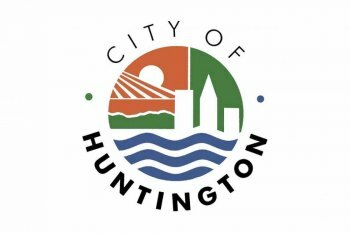 Huntington Mayor Steve Williams (along with Assistant Finance Director Greg Montgomery) told Huntington City Council members Monday , April 10, that "for the first time since 2003, there were zero audit findings" in the fiscal 2017 audit. The 2016 fiscal year audit found, for instance, that the fire department pensions had been overpaid. 2016 found a "significant deficiency" that was not a "material weakness" concerning segregation of duties. One repeated finding had been that the finance department needed to distribute duties of approving, recording, and executing amongst the staff. Montgomery told the Administration/Finance Committee (prior to the council meeting) that the city complied with standards of all federal grants" and accepted the documents "unmodified," without any instances of noncompliance with government standards. Earlier Audits found on line by HNN contained numerous recommendations for correction. One report overlapped the Wolfe and Williams administrations. Comparing the 2013-2014 and 2014-2015 , the administration made significant progress in complying with recommendations. However , for Fiscal 2017, no negative findings and /or improvement suggestions were made. In addition, the Administration/Finance Committee learned through Finance Director Kathy Moore that the city has completed 67% of the fiscal year (through February 2018) with overall collections of 68%. In terms of expenditures the Huntington Fire Department is at 66%, the Huntington Police Department is at 65%, and the Public Works Department is at 53% (although some division are over budget). The expenditure rate for the full city is 62%. Collections (revenue) totals come to $34.71 million and $30.18 million in expenditures, Williams said. Moore cited (to date) gains of about $4.5 million in 2017-2018.